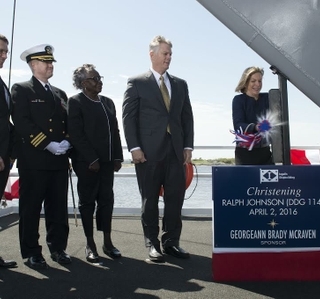 PASCAGOULA, Miss., July 25, 2017 (GLOBE NEWSWIRE) -- Huntington Ingalls Industries' (NYSE:HII) Ingalls Shipbuilding division announced today the successful completion of builder’s sea trials on the guided missile destroyer Ralph Johnson (DDG 114). 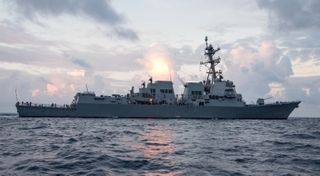 The Arleigh Burke (DDG 51) destroyer spent more than three days in the Gulf of Mexico testing the ship’s main propulsion, combat and other ship systems. 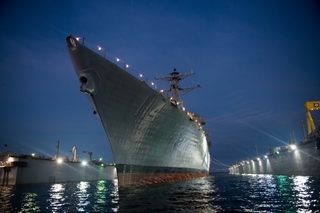 Ingalls has delivered 29 Arleigh Burke-class destroyers to the U.S. Navy, most recently delivering John Finn (DDG 113), which was commissioned on July 15 in Pearl Harbor. 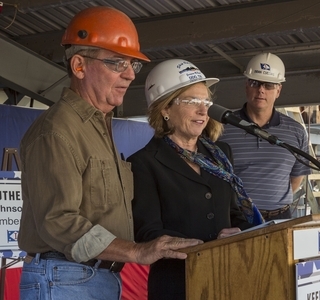 Other destroyers currently under construction at Ingalls include Paul Ignatius (DDG 117), Delbert D. Black (DDG 119), Frank E. Petersen Jr. (DDG 121) and Lenah H. Sutcliffe Higbee (DDG 123). In June, Ingalls received a contract modification to incorporate the “Flight III” upgrades to Jack H. Lucas (DDG 125) which will start fabrication in 2018. DDG 114 is named to honor Pfc. Ralph Henry Johnson, who was awarded the Medal of Honor for his heroic actions that saved others during the Vietnam War. Johnson shouted a warning to his fellow Marines and hurled himself on an explosive device, saving the life of one Marine and preventing the enemy from penetrating his sector of the patrol’s perimeter. Johnson died instantly. The Charleston, S.C., native had only been in Vietnam for two months and a few days when he was killed at the age of 19.